Has your child ever back tracked when it came to their toilet training progress? I had no end of trouble when it came to training my son. Several times it seemed like I had finally cracked the code and suddenly we would be right back at square one. I'm not going to lie, I felt like I was the only one failing at it and I was shocked when I found post after post in parenting forums on the same issue. Toilet training regression is a much more common problem than you would assume and something not spoken about enough in parenting books or in parenting classes. While reading through several posts from parents who came up against this issue it seemed that the most common cause of the regression was sickness or injury. A lot of children it seemed lost their toilet training if they went through a bout of illness or suffered an injury like a broken arm. A change in your child's life, like a trip abroad or starting play school can also bring about toilet training regression. There are several ways that regression can occur but what can parents do to solve it? Unfortunately there is no quick fix but there are simple ways to help ease your child back into their toilet routine, it just takes a little bit of patience. Positive reinforcement is the most important thing. Any negativity associated with using the potty or bathroom will only make them more reluctant to use the toilet so try not to get scold them when they have accidents or don't make it in time. A reward chart is a good way to help them gain confidence using the potty on their own and is also a good gentle reminder to let them know when to go to the toilet. With my son what worked was having allocated times that he would go to the bathroom even if he didn't think that he needed to go. We would bring him in the morning, after lunch, after dinner and before bed. Sometimes he would use the toilet and sometimes he wouldn't but it got him into the habit of going and eventually he began going himself without any prompting from me. It took awhile but we eventually got there but don't worry if it's taking longer than you thought it would, you're not alone. 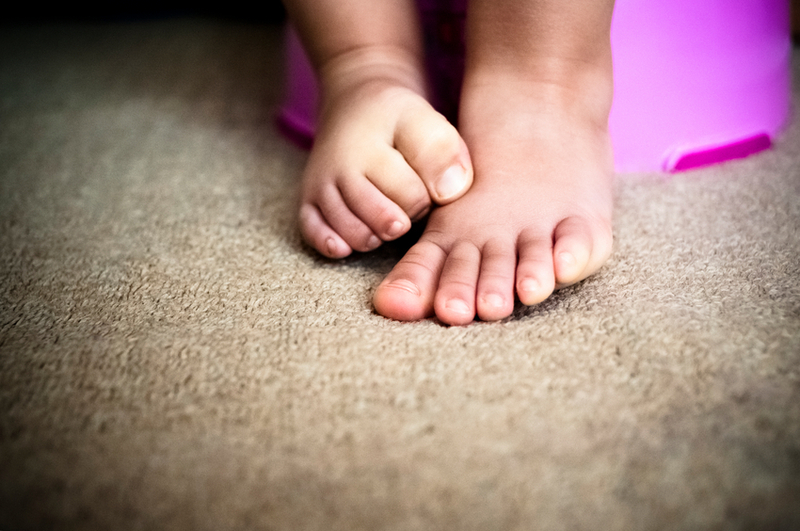 Toilet training regression is far more common than many parents think but if your child seems to be 'holding it in' they may have other anxieties or even constipation so if the problem seems to be recurring it is always best to seek medical advice.